As the fifth round of international talks on the peace settlement in Caucasus opens in Geneva, the prospect of progress in resolving the conflict between Georgia, Abkhazia and South Ossetia seems bleak. While the previous round of talks in February was praised as a breakthrough after the parties agreed to a mechanism of internationally monitoring the unstable region, the two-day event opening on Monday was already marked by a scandal. Russia suggested halting the consultations until Abkhazia gets back to the negotiating table. “In the absence of one of the parties at this meeting, it would be ineffective to discuss serious security issues,” Russian Deputy Foreign Minister Grigory Krasin said. Krasin is heading the Russian delegation at the consultations. “That’s why we decided that we should ensure that the Abkhazian delegation comes back to the talks and we continue discussing all the problems with the whole quorum,” the deputy minister added. Abkhazia refused to take part on the negotiations at all, citing the UN’s failure to produce a report on the current situation. Last Saturday, Abkhaz Foreign Minister Sergey Shamba announced Sukhum will stay firm and keep its promise not to send its delegation to Geneva before the United Nation recognizes the new realities on the ground. 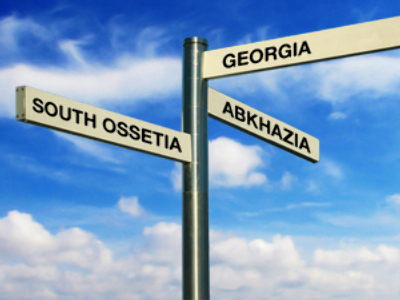 A report by UN Secretary General Ban Ki-moon on the work of the UN mission to Abkhazia was to be revealed on May 15, and Sukhum insisted on its headline not calling the region “Abkhazia, Georgia”. “Abkhazia cannot be called part of Georgia, and the UN Secretary General as an official cannot do that,” Shamba said. The minister said that the UN postponed the report until Monday, the day when talks in Geneva start, and said Sukhum suspected “some kind of trick” in the change of schedule. A delegation from Tbilisi is negotiating the deployment of “an international peacekeeping police force in the territories occupied by Russia,” to replace Russian troops, the Georgian Deputy Foreign Minister Giorgi Bokeria announced on Monday. Russian troops are stationed in Abkhazia and South Ossetia on the request of their respective governments to ensure peace and stability and guard borders of the new nations until their own troops are ready to take over the duty. Geneva talks are held between Georgia, South Ossetia, Abkhazia, Russia and the United States under the aegis of the UN, the EU and the OSCE. 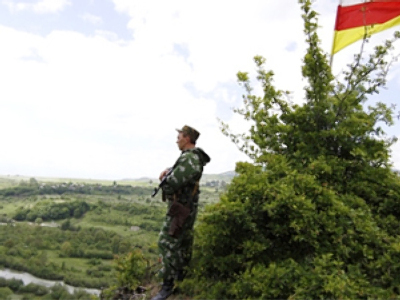 The first round started a month and a half after Tbilisi launched an unsuccessful attack on its breakaway republic of South Ossetia in August 2008. Russia intervened to prevent the death of the civilian population and its peacekeepers. Following the events Russia and Nicaragua acknowledged South Ossetia and Abkhazia as independent states. So far four rounds of talks had been held in October, November and December of 2008, and in February 2009. Some observers suggest that the fifth found may be difficult due to unstable political situation in Georgia, where opposition parties have been holding protest rallies since April calling for the resignation of President Mikhail Saakashvili. The defeat in the war is one of the biggest points of grievance for them. Bokeria went on to accuse Moscow of violating peace agreements signed after the August 2008 conflict. Georgia is also to table an agreement on exchanging people seized during the conflict. According to the Georgian official, Tbilisi calls for an “all-for-all” exchange of the prisoners. Head of Georgian-sponsored provisional government for the region Malkhaz Akishbaya, who is a member of Georgian delegation to Geneva, dismissed the Abkhaz move to ignore the talks. “It’s not important, because we have much to do to present objective information to the international community,” he told journalists. Tskhinval is insisting on signing a binding agreement which will forbid the use of force by all parties in the conflict. 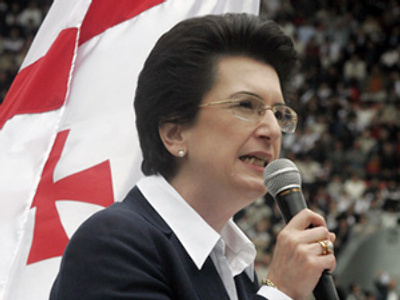 “We need a guarantee that Georgia will not treacherously attack our country again,” told Interfax the envoy for South Ossetian president for post-conflict settlement Boris Chochiev. According to him, there is “an understanding that guarantees of security should come before any talks on humanitarian issues and refugee issues” among parties of the Geneva negotiations. The fifth round of talks is to focus on security issues. The South Ossetian position is backed by Moscow, which has long insisted on a document, which would bar the use of force in Caucasus. “Russia is for a rigid implementation of security in South Ossetia and Abkhazia, based on agreements sealed by the presidents of France and Russia. It provides for a legally binding agreement on the non-use of force between Georgia on one side and South Ossetia and Abkhazia on the other,” said deputy head of Russia’s national Security Council Yury Zubakov. Another point on the Russian agenda is the proposition to put an embargo on the sale of arms to Georgia.